As many people in North Cheam already know, the gas pipe replacement works that was in Worcester Park has moved into their area. 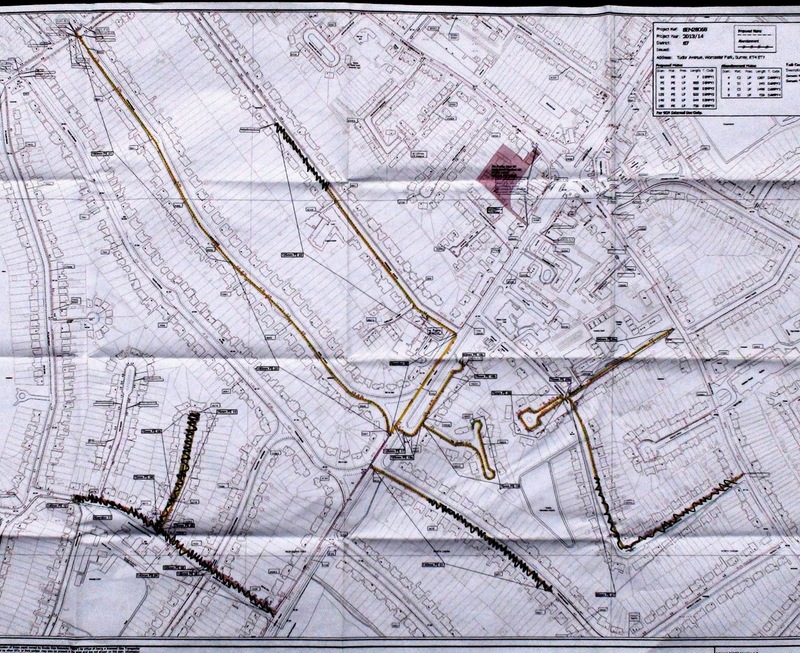 Sean Jordan, who is managing the project locally, kindly allowed me to photograph the plans (shown above) so that people can see what is happening where. The yellow sections are the roads yet to be done and the sections with the black squiggly line have now been done. As before Sean and his team who have also been working in Henley Avenue today are keen to ensure disruption to local residents is kept to a minimum. They also went to the trouble of producing a video of the Worcester Park work to keep people informed about what was happening and why. Both Sean and Tony Hollis who is managing the overall works in the area want to know if anyone has any problems with the works going on. If you don’t want to speak to them directly, email the blog and I will pass any comments on. No doubt they would also appreciate any positive comments too!